Incubating can be such an adventure. As exciting as it is, though, there are also many things that can go wrong! When we rely on machine incubation instead of a broody hen, it’s a good idea to be prepared to save the hatching eggs in the event of an emergency power outage. Now, don’t let the risks discourage you! 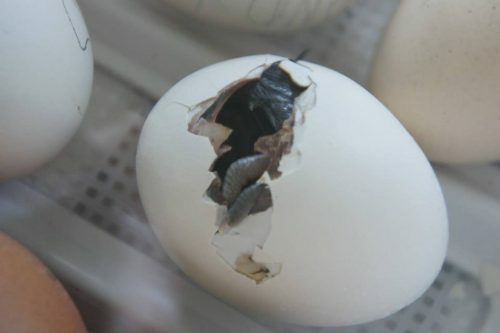 Hatching eggs can be incredibly rewarding and well worth the effort—we just have to be sure we have a contingency plan in place for if something goes wrong. THIS is what you want, whether the power goes out or not! Depending on your incubator there may be small issues that need tending; humidity too low, finding the perfect draft-free location, turner quit working etc. I remember being incredibly stressed on my first hatch because I couldn’t tell if my turner was working. They move VERY SLOWLY, so you can’t normally see them moving. I had forgotten to mark my eggs, and I was petrified to open the incubator lest I disturb the eggs unnecessarily! Ugh! I still get antsy thinking about it, but the turner was working and I had a fairly good hatch :). Anyway, the point is we must be prepared! One of the biggest issues in my area that is beyond my control is power loss due to storm damage. 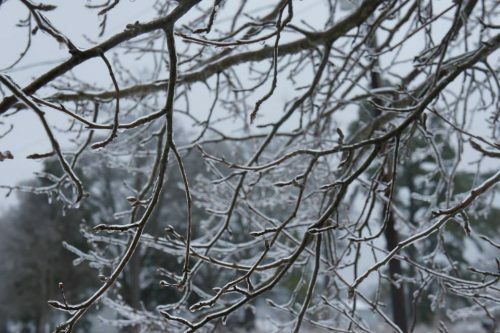 We’re on the East Coast and frequently lose power from a downed tree or other storm-related cause during the warmer months and ice accumulation during the winter. That’s not uncommon! Binghamton, NY, was just hit with a record breaking 36″ of snow (stay warm Uncle T!). 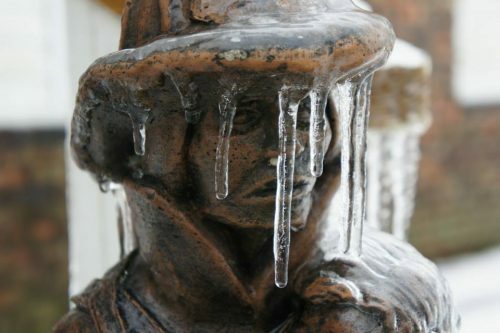 In a winter storm, you need a PLAN B to save the hatching eggs if the power goes out. 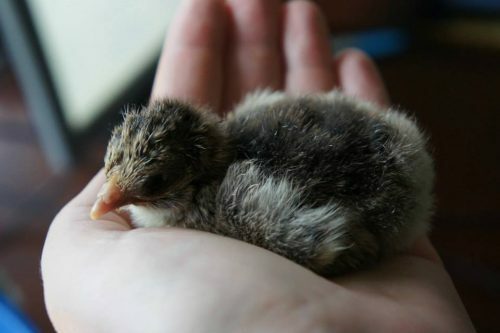 Unlike having a broody hen handle your hatching eggs, incubators are utterly dependent on the power grid. Short outages may not impact your hatch too much—hens do get off the nest regularly to eat, drink and poo—but long outages are potentially devastating. In my case, I’m fortunate enough to know the Assistant Chief of a local volunteer fire department who’s allowed me to move eggs to their station in case of an outage (He certainly should since I’m his wife!). The station has an emergency generator that can run for days if necessary so the community can still be protected by our wonderful volunteers. However, that won’t be an option for many hatch-a-holics so I’ve compiled a few other backup plans that may help save your hatch from a power outage. The easiest and least expensive option to save the hatching eggs in a power outage is a power inverter. With a correct inverter, you actually have a few options: you can connect it to your car via the cigarette lighter (car must be running), connect it directly to your car battery, or have a 12V battery specifically for your inverter. The advantage of connecting it directly to a battery with the battery clamps is two-fold: you don’t have to keep your car running and your eggs can remain inside with you! Spare batteries aren’t terribly expensive and if you have a mechanically minded spouse, you may be able to walk out into the shop/garage and find a few batteries lying about. Just be sure they remain charged! Along the lines of the power inverter, some incubator models already have an optional adapter that would allow you to hook your incubator directly to a 12v battery. This would be ideal in that the adapter was made by your incubator manufacturer and they’d more than likely be able to provide you with an estimate of how long a battery would last. 2. UPS Uninterruptible Power Supply (not United Parcel Service, I thought of the big brown truck first as well, if I’m honest). This is what you very often find computers or other sensitive electronics plugged into. UPS units are capable of providing continued power to your electronics by way of a battery which prevents data loss from small power surges. They also give you time to properly shut down your equipment in case of a total outage. 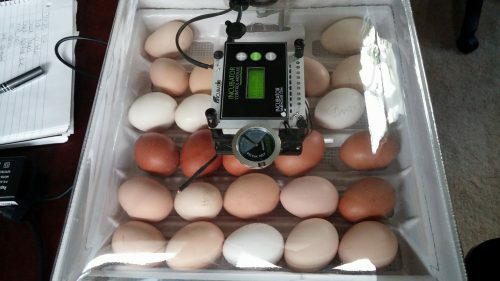 And honestly, as far as home incubation goes, it’s a great idea to use one even if you aren’t anticipating having to save the hatching eggs in an outage! Should something happen the UPS unit will typically sound an alarm letting you know it has switched to battery power and you’ll want to determine what happened. In the case of a power outage, the UPS system would give you 2-3 hours. You could, in theory, extend this to 5-6 hours if you were to cycle the incubator on and off at intervals being sure that it stayed at a relatively consistent temperature. By far the most economic and easily stored option, Hot Hands or similar chemical warming pads could help save the hatching eggs and maintain your incubator’s temperature during a short power interruption. How you utilize them would depend on your incubator set up. But this is also the most dangerous-to your-eggs option, too. They can reach 130-140 degrees F—far too hot! They could actually cook your eggs rather than save them if you don’t monitor carefully, so keep a close eye on the temperatures, never allowing your eggs to get too warm (too near) one of the pads. Hopefully, one of these options will work with your setup and ensure your eggs have the best chance at hatching, regardless of electrical issues we may encounter! Don’t forget MPC has a free incubation guide here with lots of fantastic information that can help you resolve other, non-power related, issues you may be facing! If you have any other tips or tricks that have worked for you, please let us know in the comments! « Cuckoo for Cuckoos – Cuckoo Bluebars, that is!